Looking at the calendar I realized that I have another Friendiversary this time of year. Jess at Blonde Ponytail HERE and I met at a Bloggy meet-up hosted by Stacie HERE on 10-9-10, I was in Portland to cheer Amanda on for her Marathon. Having both been college athletes we had an instant connection, hard to believe that this time last year Jess didn't have a Blog. I WISH that she and Coach lived on the west side of the state because we would be STELLAR training buddies. I like to celebrate Friendiversaries, first off because it is a funny word and second, it is fun to see how far we have come TOGETHER.. There is a special bond formed when you run with someone. What happens on the run stays on the run!!! Thank you Jess and Amanda for being my buddies, my spare bedroom is open whenever you want to crash at Casa-de-Tall Mom. I have been BLESSED to meet amazing people through Blogland. I am always talking about my "friends" and that is what I consider my Bloggy Buddies, regardless of if we get to see eachother daily or not. HARMONY- Please say a prayer for Harmony, her husband discovered cancer in his leg and they are going through a very tough time right now. HANNAH- Completed the Heartland 100 this past weekend. WOW oh WOW!! MARLENE- It is her BIRTHDAY this week!! And she has a little 26.2 jaunt planned this weekend. Stop in and wish her GOOD LUCK! ZOE- and Goober and Trav are still in China, she will be back on 11-15, can't wait to hear all about the trip. MORGAN- Suffered an injury and has turned to bone stimulation. I am praying that she finds her way to health soon. CHELSEA- Has taken a break from Blogging but she is able to start running again and has some goals for next year. Kim- Will be running Girlfriends Half Marathon this weekend with her stellar new playlist. T- Died her hair a WOW color and is <1 month from NYC and Richmond Marathons!! Track Coach & Adorable Wife- Were my buddies this weekend, Tressa took some fun photos which I posted on Tall Mom Facebook HERE. This is by no means EVERYONE...but hey the post has to end sometime. 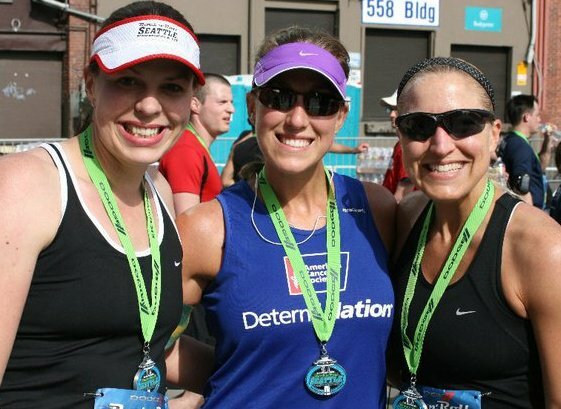 If you do not have running buddies I URGE you to take a step toward meeting people, you will be glad you did!! I love being your friend too! It was great to hang out with you and once again be your cheerleader! I've never celebrated friendiversaries, mostly because I don't really have friendships that started around a particular time. I think I grow on people :) I'll have to start paying attention though! I think the blogging community is amazing and I'm loving becoming a part of it! (albeit, slooooowly). I can't wait to attend my first blogger meetup! You were my imaginary friend, way before you knew I was even following your blog! I wonder what date we should celebrate? Maybe we get two dates? An imaginary friendiversary and a real one. Thanks for always inspiring me. I love those friend quotes! What a great post. You are SUCH a good friend. All of your friends - virtual and otherwise - are sooo lucky to have you. Thanks for the love!!! Love all my blogging/running friends. It's awesome to know that anywhere I go, I can find a running partner. Thanks for being such a great friend! Love ya! Oh, Mel! I adore you! You totally rock, and I'm so thankful our paths have crossed, both online and in person. Looking forward to the next time life brings us together again. Until then, I'm thankful for Facebook and Blogging! Sending you lots of love from Kansas! 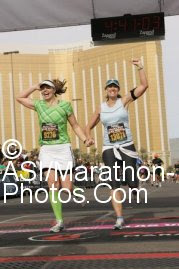 Yep pretty awesome to have running friends my BRB was the one who helped me this past march put my blog together. I can't thank her enough for support in both running and blogging. I love your friend quotes may have to use them in my own post. I wub you friend!!!!!!! Wished we were on the west side too--training with you would take me to new levels!! Kerrie, Zoe, and Jill and lucky!!! I read this a while back on my iPhone and didn't get a chance to respond. I wanted to say I LOVE YOU! Thank you for being amazing and for being such a good friend to me. I often wonder if I deserve such a friendship? You are a one of a kind, Mel, and you bring my heart to a smile, even when it is breaking into so many pieces. I wish I could be there just to sit on your couch and talk with you, or to go for a run on the Orting trail or in the wilds of T-Town.... =) I just wish I could see you more but I know no matter what you are there, just a text or phone call away. I am thinking about you this weekend. I know it is a rough weekend and I am thinking about you.